Ernie Bowman, first class keeper, was nicknamed `The Professor'. He was awarded ZSL’s Bronze medal in 1927 `for services rendered in the successful rearing of a young hippopotamus, 1926-27’. He was the eighth person to receive ZSL’s Bronze medal since 1866 and the third keeper to receive an award for rearing hippotami. He reared `Jimmy’ a male calf born on 20 August 1926. 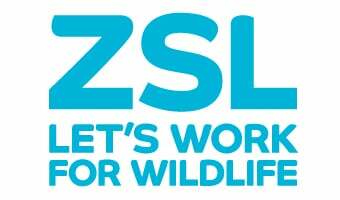 ZSL’s Bronze medal was awarded to members of staff for long and meritorious service to ZSL or an outstanding achievement. The medals were designed by Thomas Landseer in the early 1830s and engraved in 1844. One side shows a group of birds and on the other a group of mammals. The photographs of Bowman are by F.W. Bond (1887-1942). Bond joined ZSL's Accounts Department in 1903. He served in the Army from 1917 to 1919 and after he was demobilised he was appointed Accountant. He later became the Society's Assistant Treasurer. He made a huge collection of photographs and these were presented to ZSL on his death. A photograph of Ernie Bowman, was displayed at the National Portrait Gallery in London as part of their exhibition Hoppé Portraits : Society, Studio and Street during 2011 http://www.npg.org.uk/hoppe .The portrait in the exhibition featured Bowman with a hippopotamus `Joan’ at ZSL London Zoo in 1934.